Home Remedies: Does kratom work for opioid withdrawal? Kratom, an herbal extract that comes from the leaves of an evergreen tree grown in Southeast Asia, can be chewed, and dry kratom can be swallowed or brewed. Kratom extract also can be used to make a liquid product. Kratom is promoted as an aid in overcoming withdrawal from opioid medications. It's also sold as an energy booster; mood enhancer; appetite suppressant; treatment for cramps, panic attacks and diarrhea; and a pain reliever. Some people who practice Asian traditional medicine consider kratom to be a substitute for opium. But research suggests that it leads to more health problems than it solves. "It’s unregulated, so it can’t be prescribed by a health care provider, and the doses are all over the map," says Dr. Tyler Oesterle, a Mayo Clinic Health System psychiatrist and chemical dependency expert. "Just because it says a certain dose on the package doesn’t mean that’s the dose you’re actually getting, nor does it mean that’s the actual substance that you’re getting." At low doses, kratom acts as a stimulant, making users feel more energetic. At higher doses, it reduces pain and may bring on euphoria. At very high doses, it acts as a sedative. "It [kratom] does have some opioidlike properties and, so, you're replacing the opioid for an opioidlike substance," says Dr. Oesterle. "If you take a substance that’s opioidlike and it activates those opioid receptors, the receptors say, 'OK, we’ve got our opioid again.' It becomes something else you have to withdraw from again." Because kratom may seem to ease withdrawal symptoms, researchers have studied it as a potential treatment. The evidence suggests that rather than treating addiction and withdrawal, the use of kratom may lead to them. "We have no research associated with what’s the right amount, what are the risky amounts for individuals, what are some medications that might cross-react and make it more risky," says Dr. Oesterle. "We just don’t have a full understanding of what those things might be. But we know it’s a very potent substance and it potently activates those receptors." Watch: Dr. Osterle discusses the use of kratom. Journalists: Broadcast-quality sound bites with Dr. Oesterle are in the downloads. In one study, people who took kratom for more than six months experienced withdrawal symptoms similar to those that occur after opioid use. 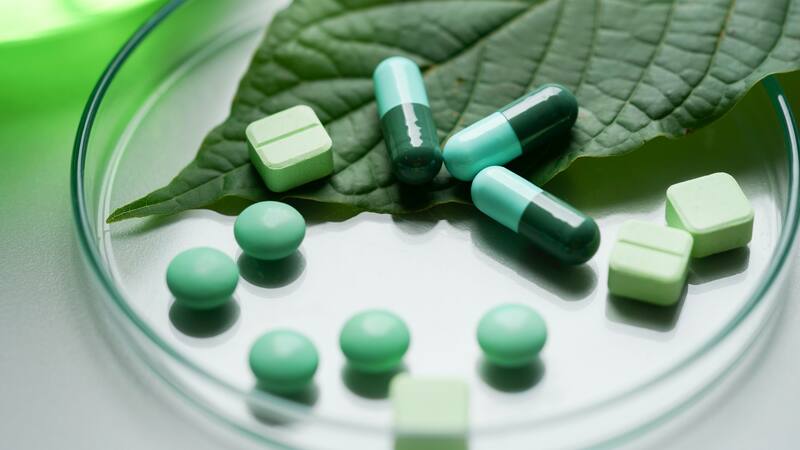 Over time, people who use kratom may develop cravings for it and need the same medications that are used to treat opioid addiction, such as buprenorphine and naloxone. When kratom is used during pregnancy, the infant may experience symptoms of withdrawal after birth. As with pain medications and recreational drugs, it is possible to overdose on kratom. The treatment for kratom overdose is similar to that for opioid overdose, and people experience many of the same treatment problems. Although people may enjoy the good feelings that kratom can produce, kratom has not proved to be an effective treatment for opioid withdrawal. Although people who take kratom believe in its value, researchers who have studied kratom think its side effects and safety problems more than offset any potential benefits. "Too much kratom can cause all the same issues that too much opium would cause," says Dr. Oesterle. "Decreased breathing all the way up to what we call respiratory suppression, which is the stopping of breathing. It can cause seizures. It can cause comas, dizziness, you know, depression. All these kind of really negative effects that we – we see a lot in opioids, but we can also see this in kratom, as well." Kratom has a number of known side effects, including weight loss, dry mouth, chills, nausea and vomiting, changes in urine and constipation, liver damage, and muscle pain. Kratom also affects the mind and nervous system, leading to dizziness, drowsiness, hallucinations and delusion, depression and delusion, breathing suppression, seizure, coma and death. Kratom takes effect after five to 10 minutes, and its effects last two to five hours. The effects become stronger as the quantity taken increases. In animals, kratom appears to be more potent than morphine. Many of the problems that occur with pain medications happen when these drugs are used at high doses or over a long period. It's not known exactly what level of kratom is toxic in people, but, as with pain medications and recreational drugs, a kratom overdose is possible. "We can see development of psychotic symptoms," says Dr. Oesterle. "We can see depression. We can see anxiety. All these things have been reported with kratom. As we try to understand this substance and we start to research it, it’s actually been observed by health care providers as they’ve seen patients that have come in and utilized this substance." Dr. Oesterle says kratom has never been formalized the way other medicines are formalized. "We know chronic use we know leads to addiction to the kratom," says Dr. Oesterle. "We also know that it can lead to things like liver failure, lead to excessive use like overdosing, which can again lead to respiratory suppression and then death." Dr. Oesterle reiterates that the main concern is the replacement of one opioid with another opioidlike substance that is much less understood and regulated. "I see much more risk associated with bringing the substance in to an already vulnerable patient population that has gotten addicted to opioids. They’re struggling with opioids, and they want to get off opioids. And, then, they introduce this new substance into their lives that can be very addictive, very problematic. And, then, they just end up developing worse issues than they had in the beginning." Dr. Oesterle says there are some good medicines to help with opioid withdrawal that are much safer and better understood.